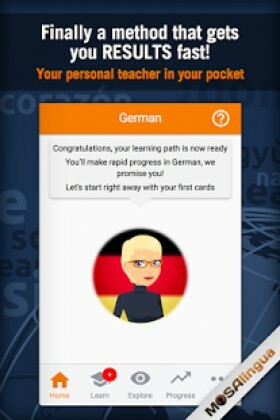 Learn German with MosaLingua is a Education android app made by MosaLingua Crea that you can install on your android devices an enjoy ! 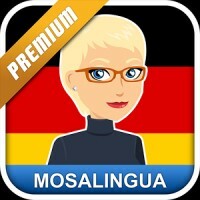 MosaLingua was designed by a professor and 2 developers who actually uses MosaLingua on a daily basis. Learn the essential 20% that will apply 80% of the time. Afterwards you can choose an area of focus that is relevant for you (travel, sports, business, technology…). Spending just 5 minutes per day for two months will allow you to memorize 600 words and key phrases! Whether you are starting from scratch or you already know the basics, MosaLingua is adapted to suit your language needs. 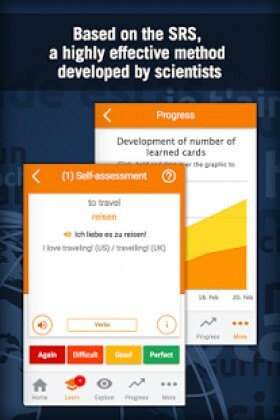 It’s like having your own private tutor in your pocket! The app is constantly being improved. We take user feedback into account. Free and regular updates are in the works! If you have a suggestion or need assistance, please click on the customer support link or at – you are guaranteed a reply!